When we have an outdoor space such as a deck or backyard, usually the space calls for furniture of some kind. By adding in furniture, you are extending the size of your home by creating another social or relaxing place for the entire family. One of the issues of an outdoor space is deciding on the perfect patio furniture to accommodate your needs. Between couches, chairs, ottomans and chaises the options are endless and frankly they can be overwhelming when it comes to crunch time. So, to make your decision a little easier we have gathered some great tips on how to choose the perfect patio furniture for your outdoor space! A big part of purchasing furniture in general is research because we get the best scope of what is out there and what is in our budget. The same can be said for patio furniture, so it’s extra important to search everywhere before making your finally choice. Try and purchase your patio items off season if possible or plan ahead when you are ready to upgrade as you can get some really great deals when you hit the right month. Also, when you have narrowed down certain pieces you love, try to see them in person. Not only will this give you the chance to try the pieces out, it will give you a great idea of sizing and where things would fit within your layout. As houses and space get smaller, it’s important to consider multi functional furniture in any space. By going this route, you can double up functionality and storage while keeping all your items out of plain sight for visitors. Even if you can choose one piece such a storage ottoman or bench, it can really change how your space functions on a day to day basis. The storage space can act as a seasonal hideaway whether you use it for summer toys, patio cushions, blankets etc. It’s easy to go to the store and buy a plastic type dining set or a few cheap chairs to get you through the summer months, but in the long term it may not be the best option. With one season furniture you may find yourself replacing and spending more than you would want, where as you can spend a little more to get good quality pieces that will last. So consider your price range and what quality you can afford, because in the long run having patio furniture that will last several seasons will always be the better choice than temporary placeholders. Patio furniture will be the focal part of your outdoor space, but don’t forget the accents that can really bring the space to life! Small decor items, lights and a comfortable rug can make the outside feel like the inside and bring the comfort into your space. Look for all weather items that will last even in the worst of conditions and make sure to play with different colors and textures to really make a statement. For some DIY outdoor accents, see our recent post 5 DIY Ways To Make Your Backyard Better. Whatever outdoor furniture you choose, make sure it fits your space, your family and your style to ensure fun and comfort all summer long! 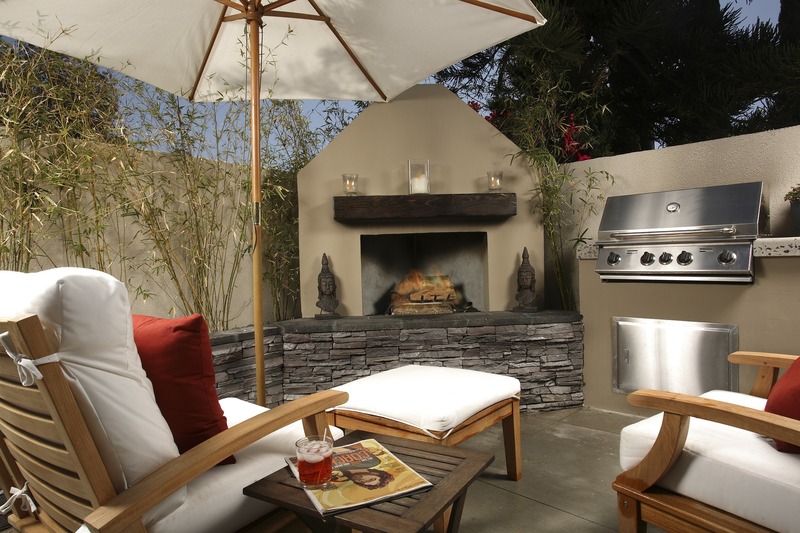 Valor has recently released their very first outdoor fireplace. For more information, please visit here. Thank you for giving the good suggestion.